With only a few miles separating Pawtucket from the Atlantic, Renewal by Andersen of Southeastern Mass and Rhode Island offers homeowners the chance to welcome the sea breeze and sunlight into their homes. 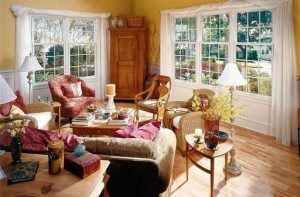 With a broad selection of windows, including: bow, casement, awning, and double hung styles, your interior can benefit from stunning views, fresh air, and radiant light. Our staff is waiting to help turn your home into a gathering spot for family and friends. Craftsmanship and innovation place Renewal by Andersen of Southeastern Mass and Rhode Island at the forefront of the local replacement window industry. No other company offers the style selection and energy efficiency options we do. Our commitment to the environment has earned us the Energy Star certification and has saved thousands of homeowners on their heating bills year after year. When you choose us for replacement windows in Pawtucket, you’ll reap the benefits of more than a century of Renewal experience. Our patio doors hold the same energy efficiency benefits our windows carry. Each window installed is covered by an industry leading Renewal by Andersen warranty. We dedicate ourselves to preserving the historical charm of Pawtucket homes while modernizing protection through contemporary technological advancements. Other contactors fail at offering the vast array of makes and models available only through Renewal by Andersen of Southeastern Mass and Rhode Island. Allow us to introduce a unique beauty to your home, both inside and out, and experience what many of your neighbors in the Pawtucket area have benefited from for years. Contact us for your replacement window needs in Pawtucket; we are waiting to help you begin your home’s restoration.